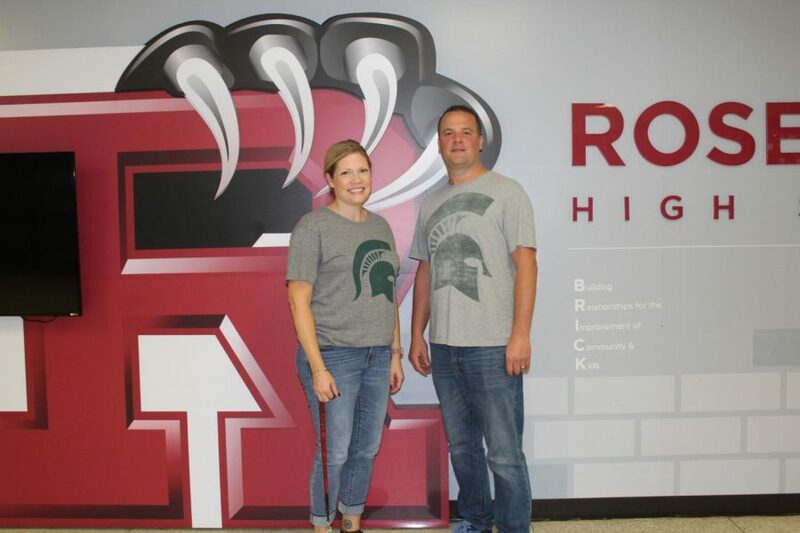 Teachers Angela Houghton and Jennifer Baldes show off their school spirit. Today, teachers and students participated in “Twin Tuesday”. This gave everyone a chance to show their creative side and dress alike. 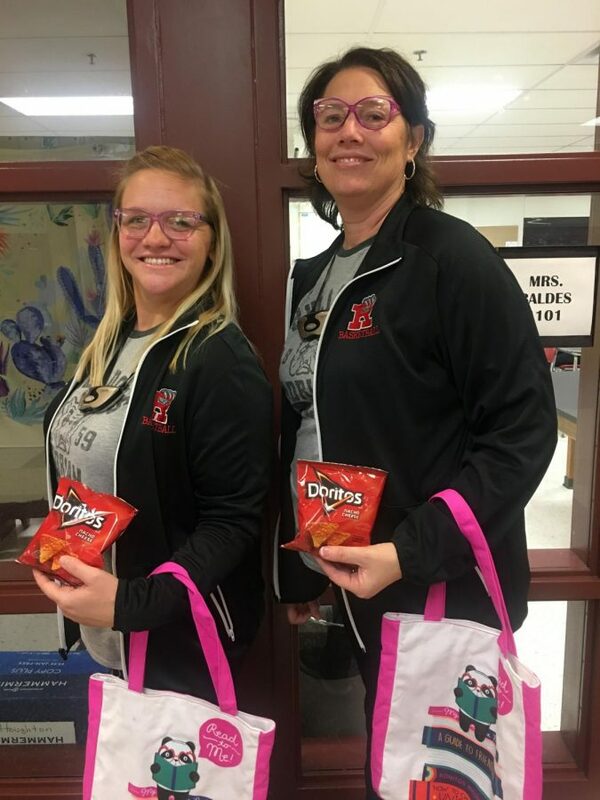 We had teachers show their college pride along with their love for Doritos, while students wore the same color combinations. “Mrs. (Angela) Houghton and I both attended Adrian College and wanted to represent with our shirts. Her creative side just took over with the Doritos and stuff,” English teacher Jennifer Baldes said. It was exciting to see some people show their twin spirit. Tomorrow is Flower Power Wednesday, cannot wait to embrace everyone’s hippie side!